You can get smooth, silky skin in less than 15 minutes! Today's beauty D.I.Y. 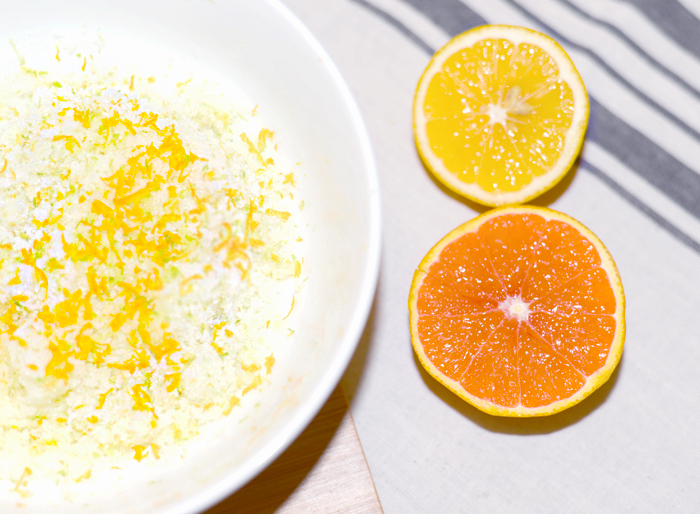 is a citrus body scrub that will leave your skin glowing! 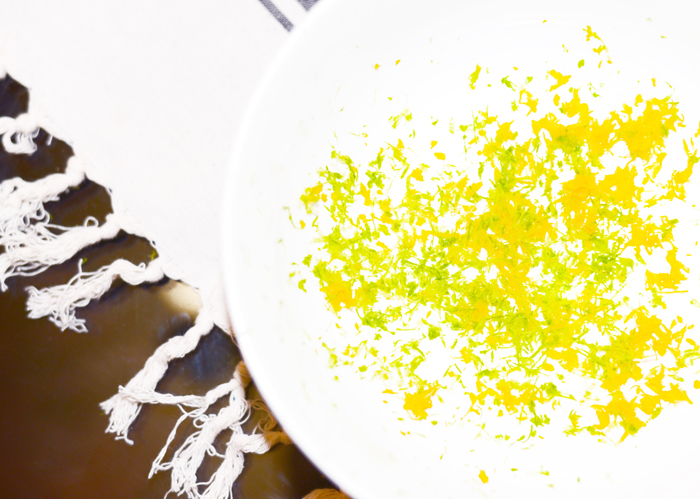 This scrub will help remove dead skin cells, fade dark spots, and brighten dull skin. 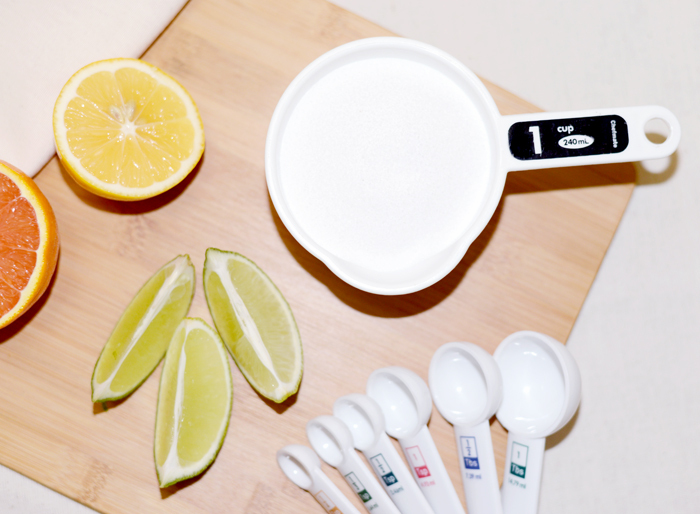 Keep in mind, that the lemon ingredients will increase your skin's sensitivity to the sun. So please make sure you wait a few days before sun exposure! Enjoy!! 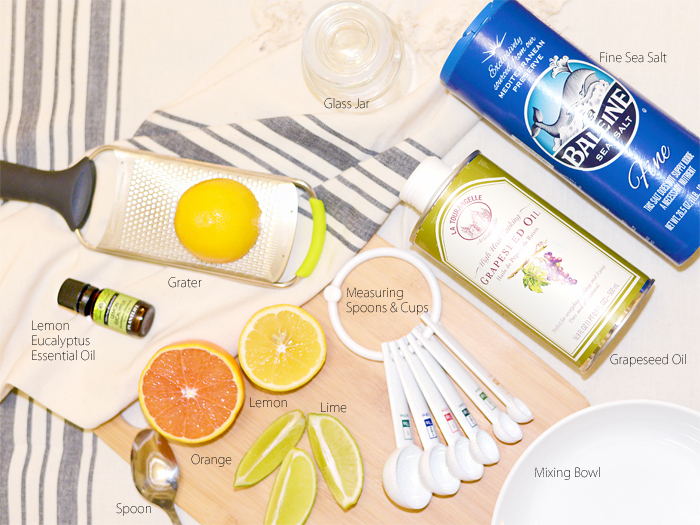 Supplies you will need: 1 lime, 1 orange, 1 lemon, a mixing bowl, a spoon, measuring spoons, measuring cups, knife, a grater, a cutting board, Lemon Eucalyptus essential oil, grapeseed oil, fine sea salt, and a glass jar. 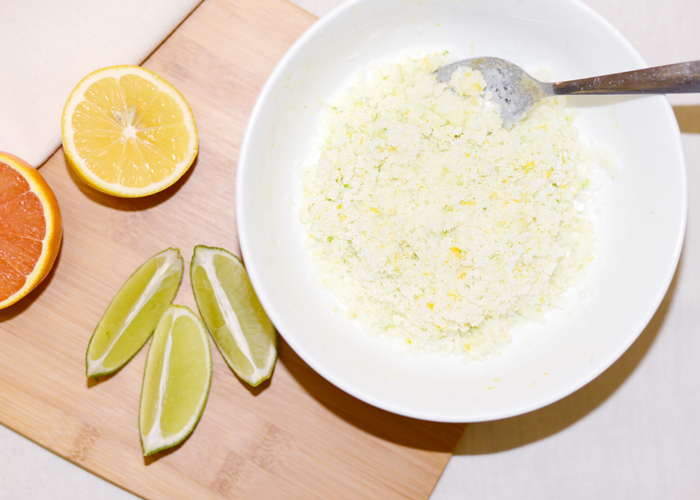 Step 1: Combine the zest of 1/2 a lime and 1/2 a lemon in a mixing bowl. Step 2: Add 1 cup of sea salt. Step 3: Add 1/4 cup of grapeseed oil. Step 4: Mix the ingredients together with a spoon. 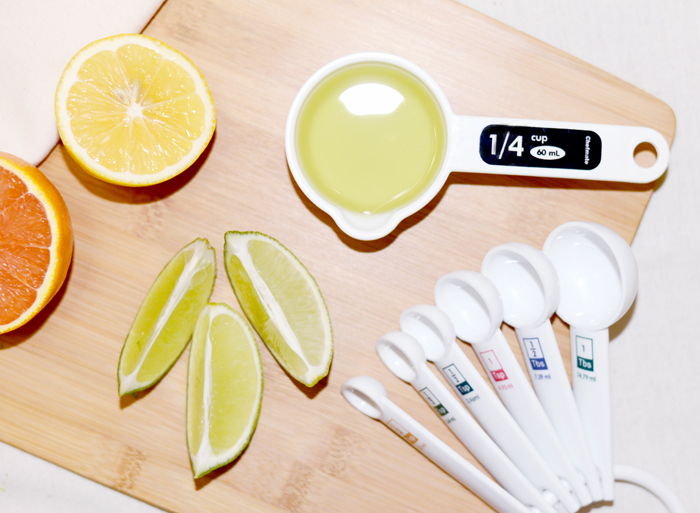 Step 5: Add the zest of 1/2 an orange and a few drops of Eucalyptus Lemon oil. Mix the ingredients together thoroughly and store the scrub in a glass jar. How to use your citrus body scrub: During your shower or bath, apply the scrub on your arms and legs in a circular motion. Rinse well and refrigerate the scrub when you are finished. Thank you to World Market for sponsoring this post!